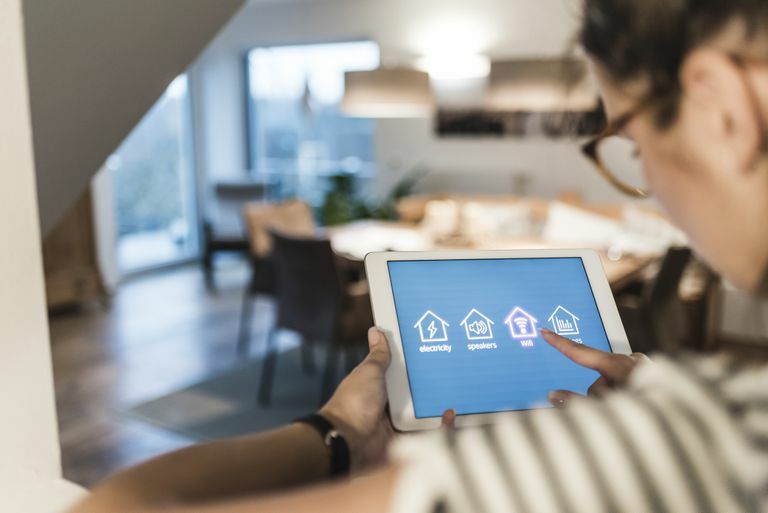 With the growing popularity of products like Nest and Amazon Echo, smart home devices have started to take hold with a large segment of consumers. While you may be familiar with some of the biggest products out there like smart doorbells and garage doors, there’s an entire world of smart home devices you’ve probably never knew existed. From a smart frying pan that weighs your food to a hairbrush that coaches your brushing, if there’s even a minor need, there’s probably a smart device to address it. Check out the 11 devices below to see how deeply smart home tech has penetrated every room in your house. Sleep trackers are a common use for smart technology, so smart beds make perfect sense for people looking to track their sleeping habits. And while a Fitbit or Jawbone can track how much you stir in your sleep, a connected bed has a lot more data to work with. The Sleep Number 360 Smart Bed tracks how you sleep, and automatically makes adjustments to firmness, foot temperature, and support on both sides of the bed. It even sends a report to your smartphone every morning on how you slept the night before. If you think your insomnia can be cured with data, a smart bed could be the solution. While this one probably doesn’t surprise you, you may be wondering what a smart toilet even does. The Kohler Numi, for example, offers a slew of features including a motion-activated seat and cover, deodorizing filter, heated seat, and built-in Bluetooth speakers. The Numi comes with a very hefty price tag, so if you feel like that’s flushing money down the drain, there are also a number of smart toilet seats at a much lower price. If you’re a worrier, you’ve probably driven back home a few times to double-check that you closed the garage door. Some people even take a picture each morning to reassure themselves that the door is actually closed. All of this is easily alleviated with a smart garage door, like this one from Vivint, which can sync up with the rest of your smart home suite using Z-Wave, allowing you to open and close your door from anywhere using your smartphone. You can even receive notifications when your door is opened or closed. File this one under both “didn’t know existed” and “should not buy.” Conceptually, the Quirky Egg Minder sounds like a useful device — an egg tray that syncs up with your smartphone, letting you know how many eggs you have and if they’re still good. In practice, the tray has issues with reporting eggs properly, leading to mostly negative reviews on Amazon and elsewhere. The concept is valid, however, so if you’re interested in a smart egg tray, a functioning one is likely on the horizon. If you don’t want to wait six months to have your dentist to tell you you’re not brushing the right way, a smart toothbrush might be just what you need. The Kolibree Ara Smart Toothbrush uses a motion sensor, accelerometer, and gyroscope to track how you’re brushing your teeth and the associated app gives feedback on how you’re doing. While this one may raise a few eyebrows, a smart hairbrush is actually a lot less crazy than you might think. The Kerastase Hair Coach, for example uses a microphone and sensors to determine the health of your hair. It also tracks your brushing patterns and sends a full report along with recommendations to an app on your smartphone. If you struggle to keep your hair in line between hair appointments, a smart hairbrush could help. Nothing is worse than burnt toast, and with a smart toaster, you’ll never find yourself scraping off blackened bread again. Products like the Breville Smart Toaster are the cadillac of toasters. Breville’s toaster works with a single button that lowers and raises your bread like an elevator and its “Lift and Look” feature lets you quickly check on your toast while it toasts. Whether you forget to feed your pets or aren’t always home to do so, a smart pet feeder is a great option. By connecting to your smartphone, Petnet’s SmartFeeder allows you to feed pets remotely, track how much they eat and measure portions. For people with overweight pets, these feeder help you track and adjust your pet’s diet based on activity, age, and weight. The feeder allows users to set up a schedule so if the Wi-fi goes down your pets won't starve. It will also operate on schedule for seven hours in the case of a power outage. While a smart fork may sound like a joke to some, for those looking to fix their eating habits, it can be a godsend. The HAPIfork does just that — monitoring how quickly you’re eating and reminding you to slow down with a light buzz. It also tracks how you eat for an entire meal, sending a report to an app. Eating slowly keeps you healthy and a smart fork can help you do it. So you watch a ton of cooking shows, yet you cannot get your dishes to come out like Gordon Ramsay’s. Don’t fret, a smart frying pan can help! SmartyPans is a frying pan with built-in weight and temperature sensors to help you track every aspect of your cooking. The pan syncs with a cooking app that walks you through a variety of recipes, giving you feedback when the pan is too hot or cold. What’s more, it has the best ​name on this list. Flood sensors alert you when your home is flooding. So if you want to be notified of flooding any time instead of just when you’re home, a smart flood sensor is the way to go. The well-reviewed D-Link Water Sensor connects to your Wi-FI network and can send a message to your smartphone anytime it detects flooding. D-Link’s sensor doesn’t require a smart home hub and can be hacked using IFTTT. Many (if not all) of the devices on this list may seem wildly unnecessary, but they are all designed to help solve very real problems. The moral of the story is that if you have a problem, there's a chance someone has come up with a smart device to solve it. So whether you're brushing your teeth too hard or burning your toast too often, the solution might already be in your pocket.